What did being in a Tea Society mean to you? How did it shape your College experience? "My entire family is from the English Isles, but I never really drank tea or understood the significance of teatime growing up. 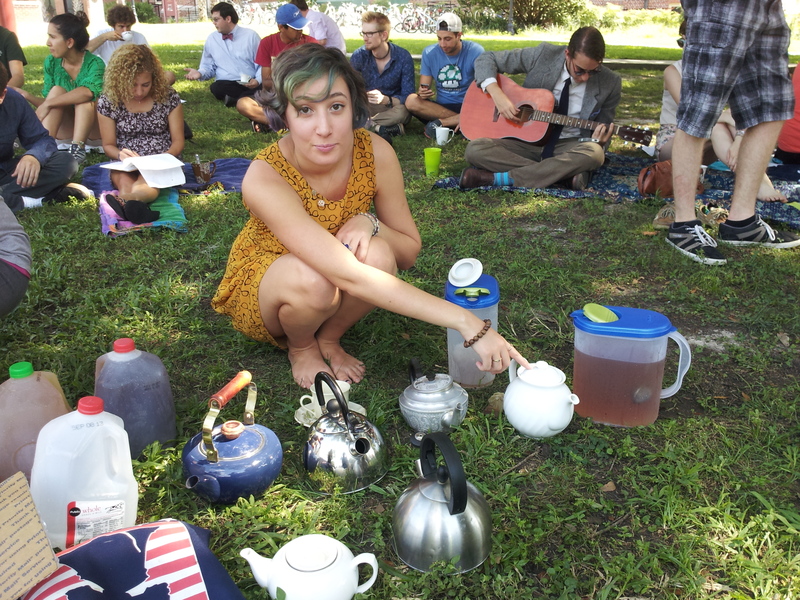 So when my friend originally suggested that I join her for a meeting of the Society of Tea Drinkers on our campus green, I only tagged along because I had nothing better to do that afternoon. Little did I know that the Tea Society would influence me more deeply than any other organization I participated in during my college career. Of course, I learned about the deep historical significance of tea and tasted more varieties than I could have imagined. But more importantly than that, I came to a deeper understanding of both my own ignorance and my own potential as a student of the world. 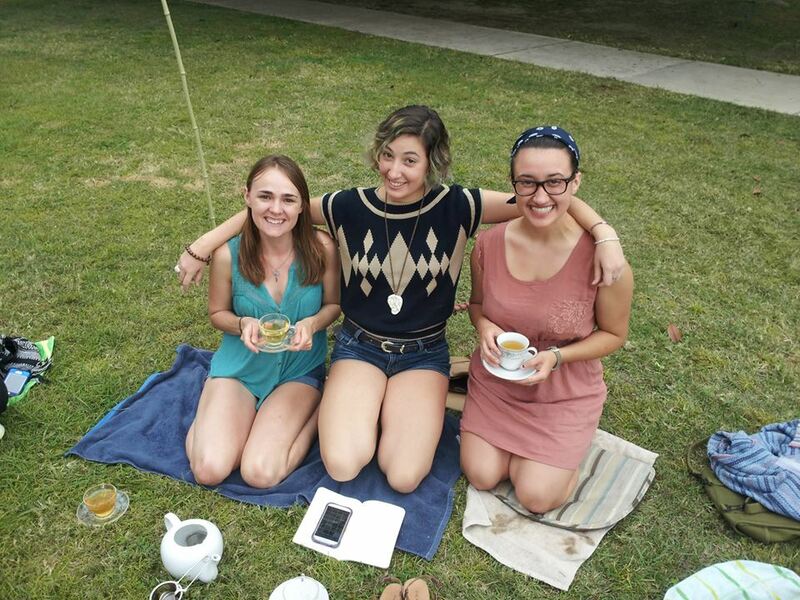 We all looked forward to tea as a safe place to explore political, philosophical, and scientific ideas that were brand new to us and to share the things we were learning in college with others. In our increasingly digital world, these kinds of face-to-face conversations with people who have different perspectives are perhaps more relevant than ever before. 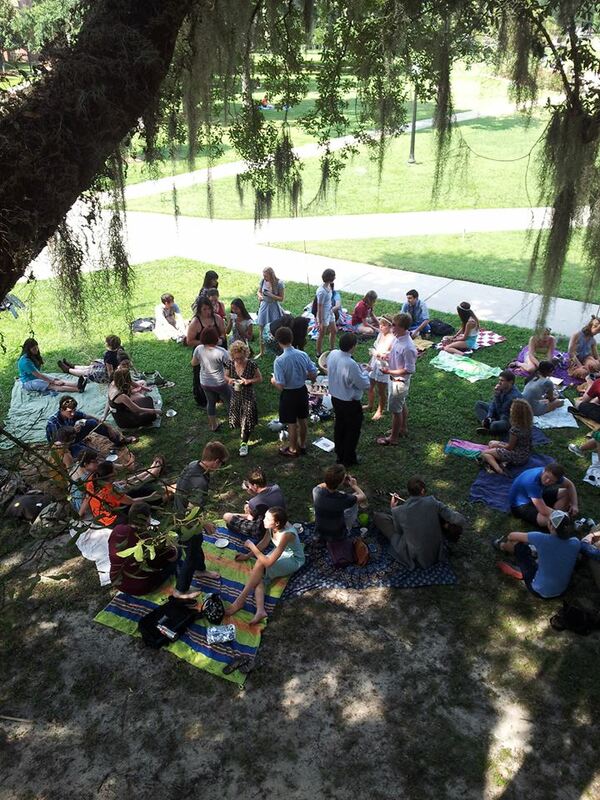 I grew profoundly as a student, a conversationalist, and a friend during the many hours I spent sipping tea on Landis Green. 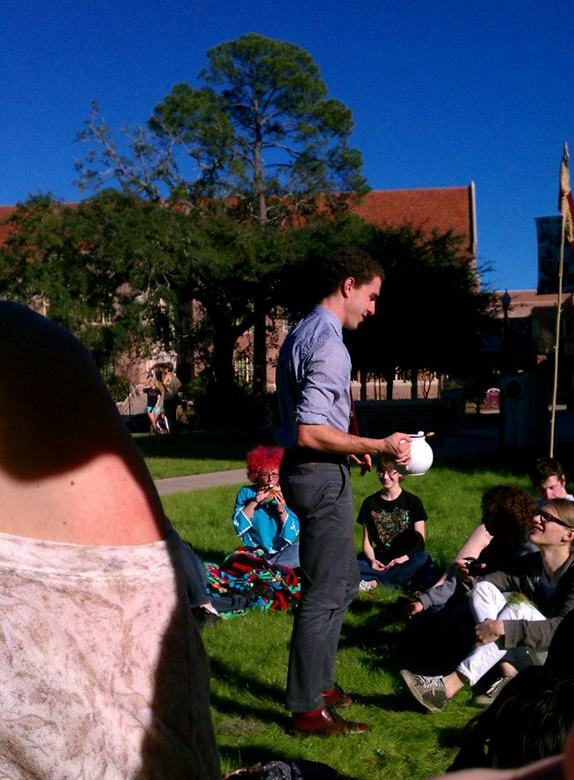 "Discovering The Society of Tea Drinkers was really a turning point in my college career. Where other organizations often felt too rushed or highly centralized, the TeaSoc was a welcome reprieve from fast-paced college life. Studies have shown that simply holding a warm cup is enough to increase feelings of trust, openness, and reciprocity, so being able to commune over fragrant teas was the ultimate icebreaker. 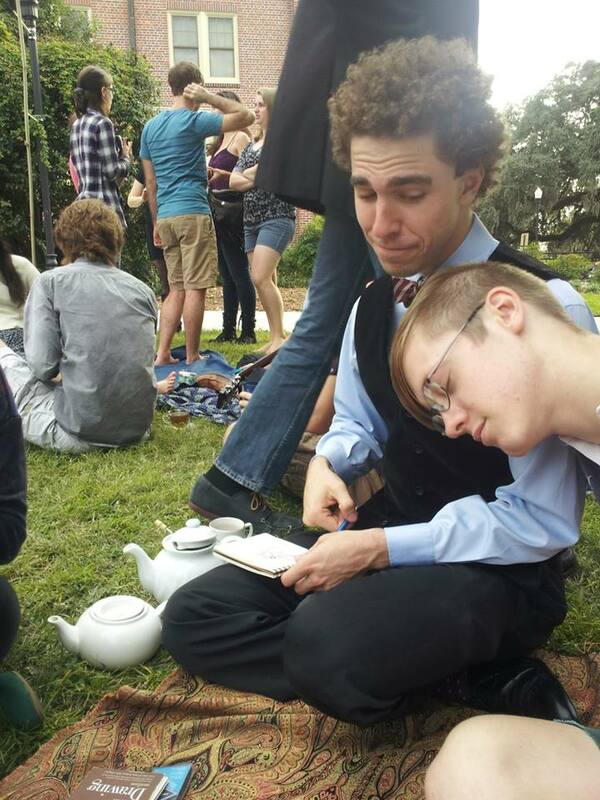 The Tea Society represented all of the very best aspects of my college experience; the eager exchange of ideas, the friendship, the exploration of critical thought, the humor, the shared experiences, the ability to create something fascinating from yourself. All of these things generated an atmosphere of possibility and freedom that I looked forward to with eagerness each and every week. I grew through my ability to debate and explore complex topics with peers from across the scholastic environment at our university and, by so doing, I received new ideas and perspectives that I would probably never have considered. 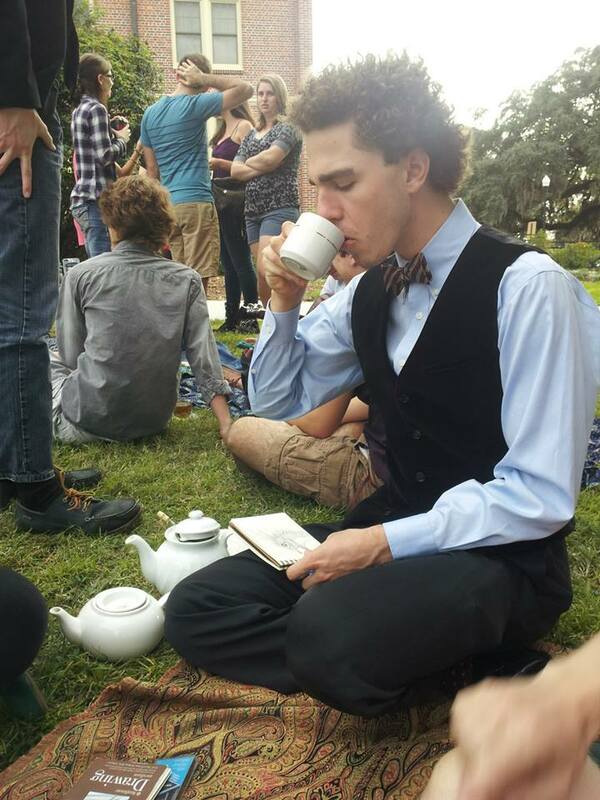 My political stance, my belief in the ramifications of science and art, and my understanding of my own beliefs were all challenged and modified throughout my time in college, but they were never so thoroughly explored and debated as when I was sitting with my friends and new acquaintances drinking Tea on Sunday afternoons. All of this dialogue and camaraderie was lubricated and facilitated through the mutual enjoyment of what is essentially a simple construct Tea. I’m now a senior and still go almost every weekend, and I think I love it more every time. No matter how busy or stressed I am during the week, I can always look forward to sitting outside and enjoying a cup of tea and good conversation with good company. 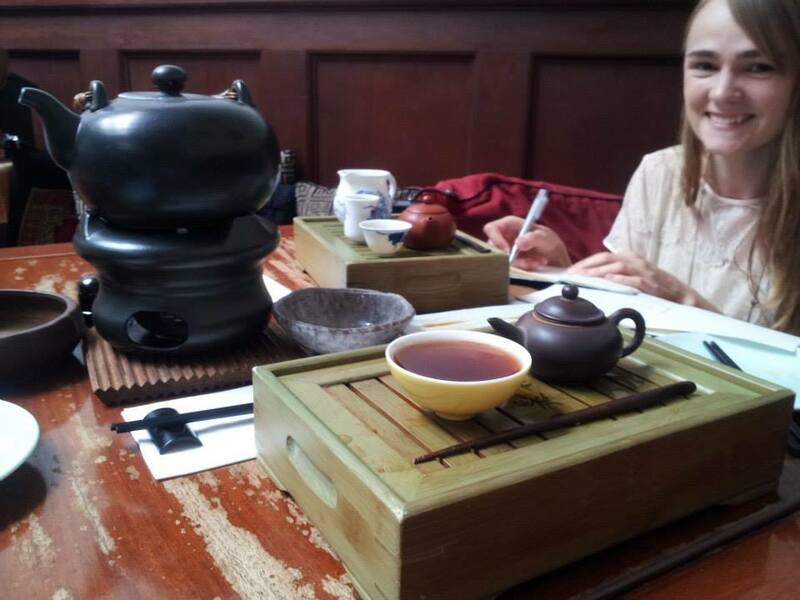 I’m also an introvert and it’s not always easy for me to make friends, but going to tea ceremonies helped make college a little less scary and it’s introduced me to lots of wonderful people. It’s amazing what 30+ minutes of tea and relaxation in nice weather can do for our overall wellbeing, especially in college where life can get a bit hectic sometimes! Have a story about your chapter to share?